Pastor Kendall grew up in North Texas and felt the call of God to be in full time ministry at the age of 12. 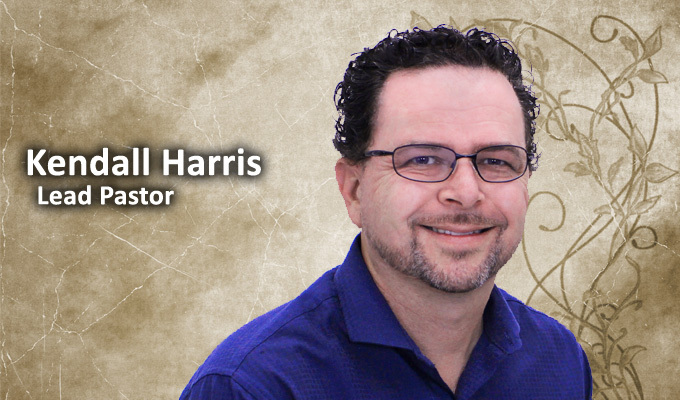 After graduating High School, he attended Southwestern Assemblies of God University and graduated with a Bachelor of Science Degree in Church Ministries. During his time at Southwestern, he began serving on staff at churches in the Dallas area as a Youth and Children's Pastor. Pastor Kendall has been in pastoral ministries for over 20 years. During that time he has served as a Youth and Children's Pastor, Worship Pastor, College Pastor, Assistant Pastor, and was the Lead Pastor of Destiny Church in New York City for over 5 years. Pastor Kendall loves taking deep spiritual truths and teaching them in creative ways that are easily understood. He uses drama, video, physical illustrations, and other creative techniques as tools to help communicate the Biblical message. Pastor Kendall and Jennifer Harris have been married for 16 years, and they have 3 beautiful children: Jayden, Devon, and Grayson. Pastor Kendall and Jennifer have a strong passion to reach people, and help them find the freedom they have in Christ. They have a desire to develop leaders that will allow the church to expand on that passion. Pastor Kendall and Jennifer have a love for God and a love for people that is contagious.